Parents of migrant children endangered in unstable homelands seek asylum in the USA. Under Trump policy children are confiscated from parents (says Jeff Sessions) & often abused (says ACLU) & lost by Homeland Security/ORR (says HSS’s Steven Wagner). This is a Trump deterrence to future migrants says Trump CoS John Kelly. Trump policy confiscated 658 migrant children in 13 days of this month. Where are this May’s migrant children? The significance of the 1475 missing children report is that it refers to the US Office of Refugee Resettlement (ORR) (under U.S. Dept. of Health and Human Services) which finds homes for unaccompanied alien children. With no other choice of where to send the confiscated children ordered by the White House, Homeland Security-confiscated migrant children are now sent to the ORR within 48 hours of capture says USA Homeland Security Secretary Kirstjen Nielsen. A Department to which Trump’s new Migrant Child Confiscation policy assigns children is the same one that can’t find 1475 children. The migrant children today whose parents seek United States’s asylum from dangers in their unstable home nations are ‘detained’ & deemed by Trump’s policy to be “unaccompanied”. Children sent to foster homes by ORR can & do get lost & abused. Arrested and detained migrant parents fail to get their children back because ORR never did give children back, it only handled unaccompanied alien children (UAC). Hence ORR has no infrastructured ability to track kids’ parents and where parents’ prosecutions and detentions are taking place–nor the disposition of court cases. Parents arrested under the “zero tolerance” Trump plan almost always end up in jail for significant periods of time. If they plead guilty (most are bullied into doing that) they serve up to six months in jail or prison but if they fight their case they spend two years or more in prison. By this time, their confiscated children have been sucked up into a foster home regime. That’s the big problem. The methodology is intended to cause horrible suffering to families as a discouragement to anyone contemplating asylum in the US. ACLU says children are typically abused. (ACLU Reports) This is a contributor to the internet uproar over pictures of caged children. Donald Trump tweets about these photographs and says they are from the Obama era. They are photographs and anecdotal accounts of child abuse likely extracted from the ACLU reports. From 6 May to 19 May, 2018, 638 parents traveling with 658 children were prosecuted under Donald Trump / Jeff Sessions “zero tolerance” policy. (See US Senate : 05-23-18 Richard M. Hudson Testimony.) Children were sent to ORR ‘Foster Homes‘ thus criminalizing migrant parents & forcibly confiscating the children whom their parents sought to protect from violence and sexual exploitation in their troubled homelands. 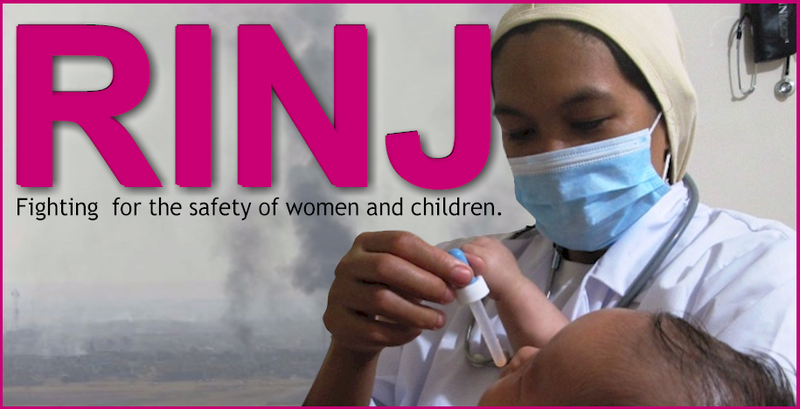 The RINJ Foundation Women have filed a formal complaint with the UN Human Rights High Commissioner. The complaint is made under the non binding Universal-declaration-of-human-rights. The OHCHR – Convention-on-the-Rights-of-a-Child Article 9 also applies. This complaint is filed against the United States Department of Homeland Security and not against any particular person. The politicians are irrelevant. Blame is irrelevant. The children are everything. What matters is the safety and cohesion of children and their families. Trump’s policies are criminalizing migrant parents & forcibly confiscating the children parents sought to protect. 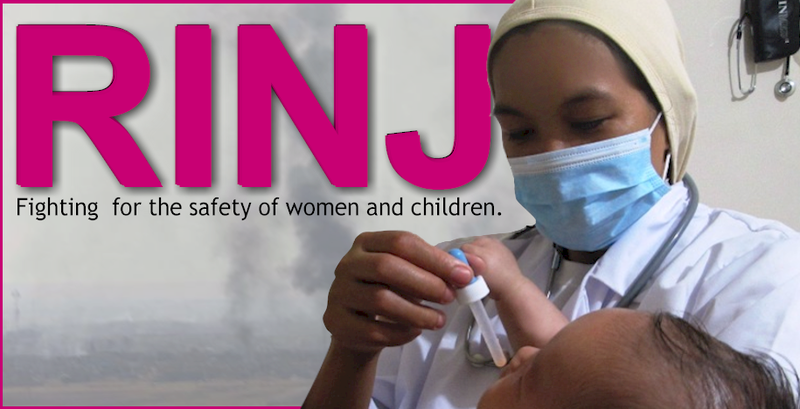 The RINJ Foundation Women filed a complaint with the OHCHR, on 24 May.